This quite simple and small Haitian voodoo flag was made specifically for love shine by renowned Haitian artist George Valris. Haitian Voodoo flags typically feature the physical representation of a symbol that represents an individual spirit. These flags are traditionally used to decorate the site where a ceremony is held to attract a particular spirit or lao. 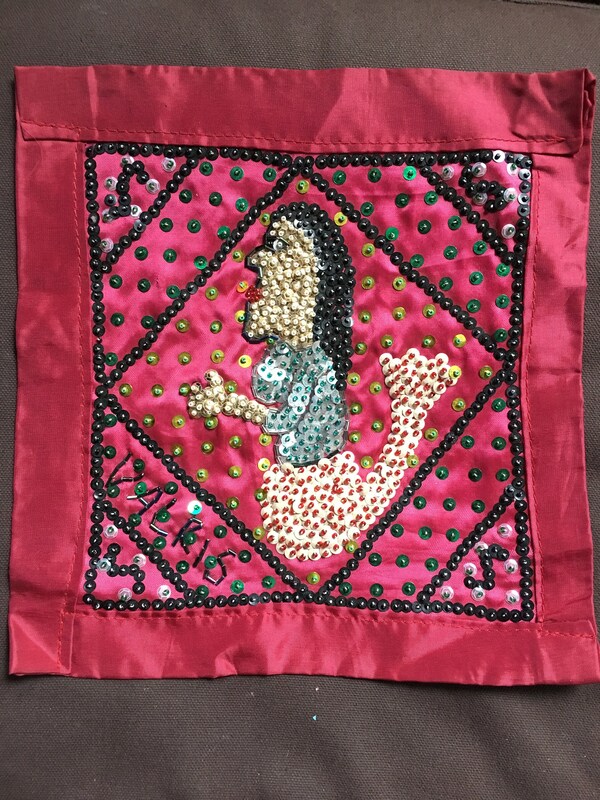 This flag depicts La Sirene, siren of the seas, she depicts the symbol of wealth, ruler of vanity and patron saint of musical arts. 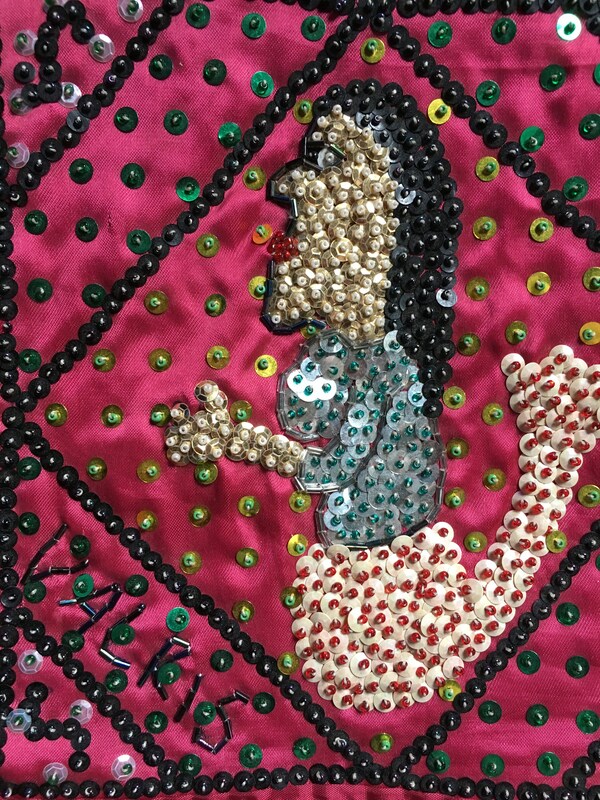 Here we have black, gold, blue and red sequins and beads on red satin background.